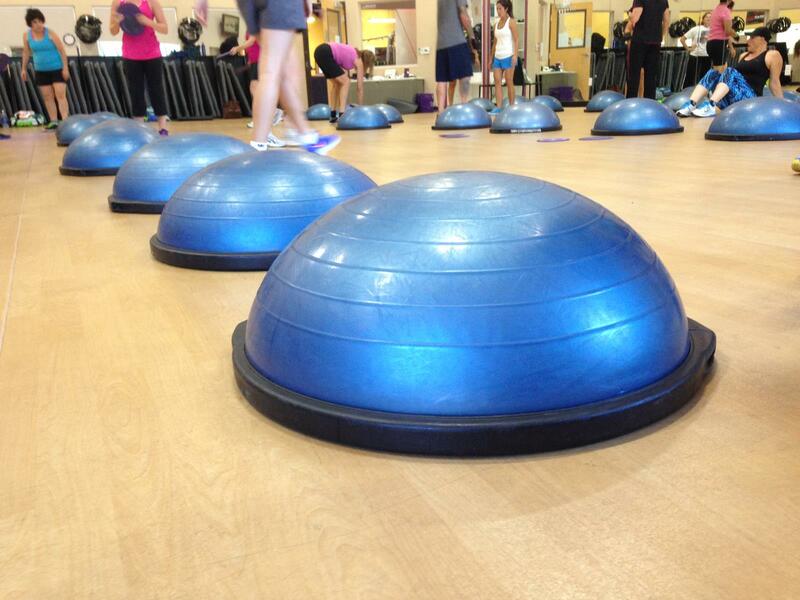 There is something about these little blue balls that strike fear in me as I find my place during Boot Camp class. Those little half dome bubble balls sure do a number on me during the course of a 50 minute fitness class. Seeing them lined up in sequence for a pyramid workout… you know that you are in for a real treat! Last week I took a new-to-me Boot Camp class at the Elk Grove location The class was taught by a familiar instructor, Carol. I was wanting to change things up with my cross training and decided I would give this class a go. It was ah-mazing. We worked hard for 50 minutes for a full body workout. Cardio. Strength. Endurance. More! I loved the variety and intensity of this class. I wasn’t finding myself doing endless reps with boredom. Just when I thought I could no longer do a rep, we were counting down from 8. We worked together as a group. The energy and excitement was fantastic. You worked with your little group (people in your row) and challenged each other to stay on pace. I really enjoyed taking Boot Camp at Cal Fit Elk Grove with Carol. I plan on adding it to my regular fitness routine rotation. I love spicing it up… and I know that the next time I attend the class it will be completely different. Variety is the spice of life! Have you tried a Boot Camp class?